Just FYI, I will be posting later today after I set up some photos. Thanks for your patience. Hi Nick, I have my father’s officer’s sabre, but it is sharp… I do like the 300 yr. old Kenyan War Dagger as it has the right heft for the job. 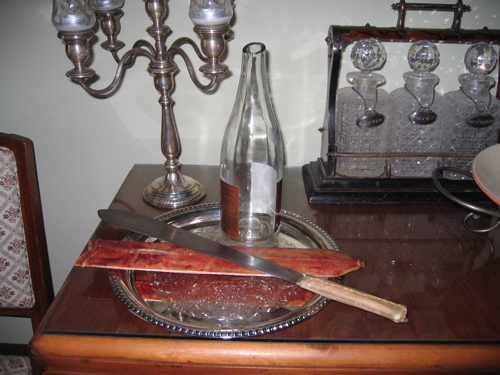 Intrigued, I search YouTube and found someone how performed sabrage with the base of a fluted glass! Chic and handy too! I may pick up a cheap bottle of bubbly and give the rapier a try.